Bought second hand but never worn. 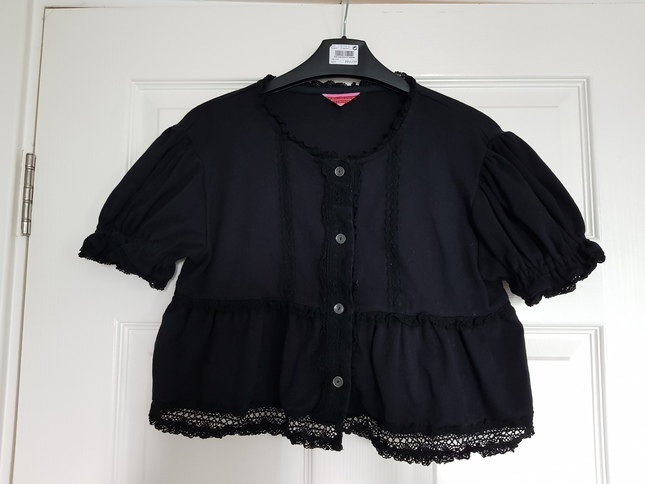 Cropped length button up cardigan with frill around the bottom. Comfortably fits me up at a 94" bust with no stretching or gaping at buttons. Could fit larger if you are happy to leave the buttons undone. UK postage is £4, pm me for international postage.